I donate a portion of each commission check to the Golisano Children's Hospital at Strong. I am an award-winning, results-driven REALTOR® who takes pride in building strong client relationships. As a native Rochesterian who loves her hometown, I can easily help you navigate the area to find your dream home or get your home SOLD so that you can make your next move. I have a keen sense of the local market and am well-versed in property and appreciation values. I can share my marketing insight with you on how to gain the best exposure for your property. Due to remarkable success, I have been able to grow my team! 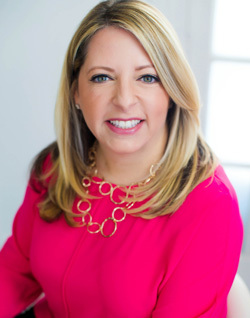 Julia Furano has joined me to provide an unparalleled real estate experience to all our clients (learn more about Julia here). Together we provide more access, more marketing power, more perspective and more vision! Our mission is to offer the amenities of a large real estate team but with the white glove, boutique customer service you have come to know! Our goal is to make this process as stress-free as possible and exceed all your expectations so that you will feel confident in referring us to your family and friends in the future!